Well, first of all, some of you readers might be surprised this post is about beer, after all this is supposed to be a “wine and dine” blog! But I am not a militant wine-drinker (although a quite passionate one) and generally, I like everything that tastes good, including good beer. Plus, most of wine-drinkers I know like their occasional glass of beer, be it to soothe their taste-buds. And for those who didn’t know: currently there is a craft beer movement going on, which is extremely dynamic in the US (see postings about my visits here and here) and now slowly coming over to Europe. This has a few consequences, such as the development of a craft beer scene with beer critics and beer bloggers and new events such as Beer Blogger Conferences. 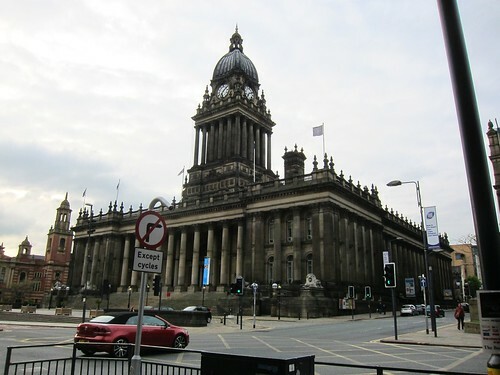 And as my American friend Jeff told me he wanted to attend the second European Beer Bloggers Conference in Leeds, I thought I might as well join and see what it’s all about. Funnily, I was the only German attendee, but on the other hand this is actually pretty representative for the German craft beer scene. 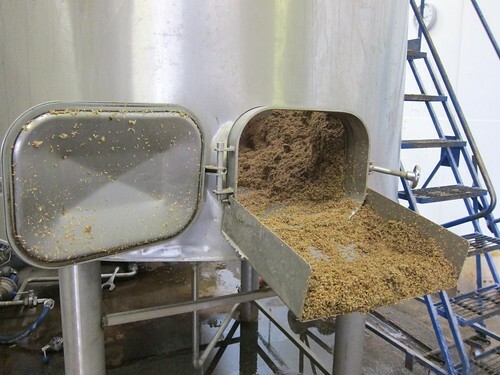 Indeed, it is still a bit asleep and stuck in traditional ways of beermaking (which are by no means bad) instead of experimenting aside the boundaries of the “Rheinheitsgebot”. Well, there are a few craftbrews making IPA’s and Pale Ale’s by now such as Brewbaker or Hopfenstopfer, but compared to the development in other countries, this is still very small. But now back to this journey. 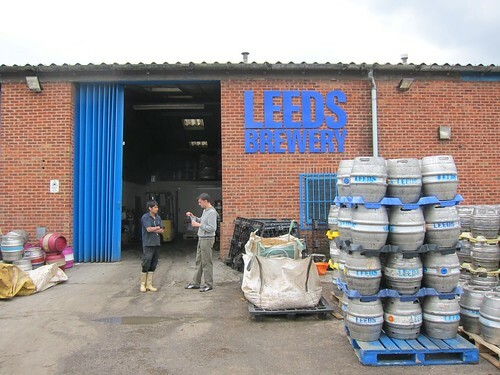 As we arrived early on Thursday, we still had time before a pub crawl in the evening and decided to stop by spontaneously at Leeds Brewery, a 5 year old “microbrew” which has now become Leeds biggest brewery ( in particular after the last big brewer, Tetley’s , shut down a year ago). 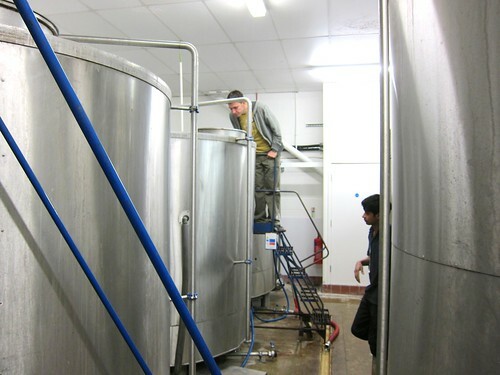 Yes, microbrews are growing in popularity as they stand for craftsmanship, quality and flavour as opposed to the industrial Lager beers of the big players which seem to lose ground. Even though we were dropping by the brewery spontaneously, we were very well received by the only 26 year old head brewer Venkatesh Iyer who took the time to tour us around and explain brewing systems and beers. 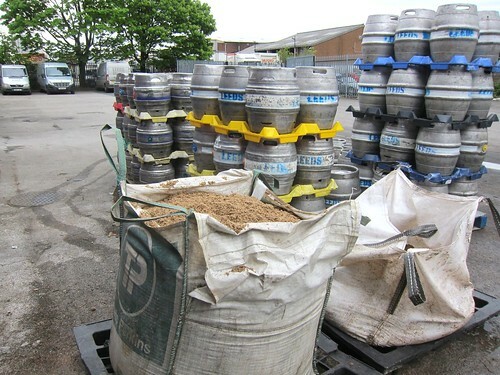 The brewery mostly brews ales, as the facilities don’t permit extensive brewing of Lager beers yet. And in the tradition of Yorkshire, bitters are one of the specialties. 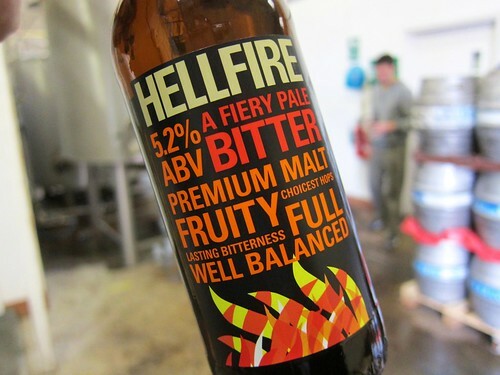 We were lucky to try the 5,2 % ABV Hellfire Bitter, which, as the label says, is truly a very well balanced beer, with fruit notes and bitter notes harmonizing to perfection. Also, it appears rather creamy when it comes to carbonation. Leed’s brewery beers are to be found in pubs all around the city, including the brewery’s 4 own Pubs, which we were still to explore that weekend. Thanks for the tour!